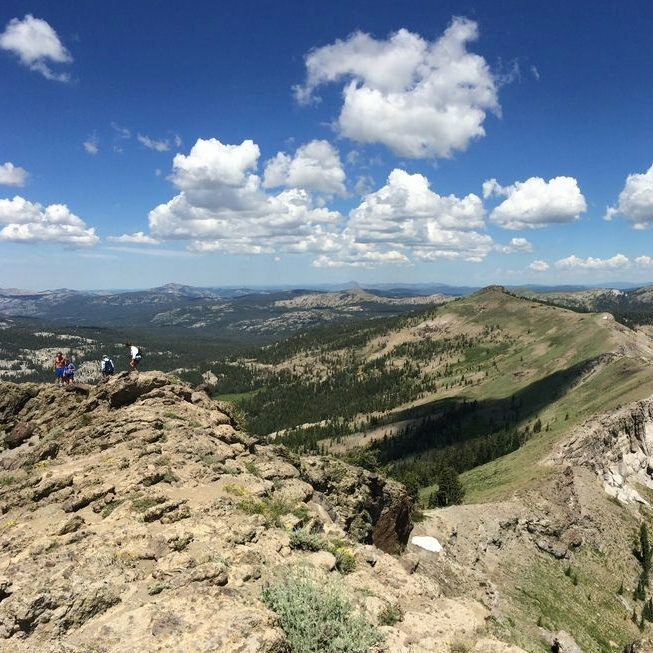 Castle Peak is one of the most popular hiking destinations in the Lake Tahoe Basin. Castle Peak is the throat of an ancient volcano and its three turrets are easily visible from most of the area. In the winter, the peak has ski descents to the west into Round Valley, and south into Castle Valley back to the interstate. In the warmer months Castle Peak is a quick but challenging hike with nice views of the northern Tahoe area and the Sierra crest. For more information, visit Sierra Nevada Geotourism.